We saw how to create shapes in HTML5 Canvas and also decorated it with gradient fills. What if you want to add a shadow or Global Alpha effect to shapes? You can do that using shadowColor, shadowBlur, shadowOffsetX and shadowOffsetY properties of the canvas context. For demonstration purpose, lets create a circle using Arc() method, use fillStyle property to set color for the circle, shadowColor property to set the color of the shadow, shadowBlur property to set the level of the shadow, shadowOffset property for the x and y coordinates; to define the shadow position. Lets see the code below to that adds shadow to a circle. 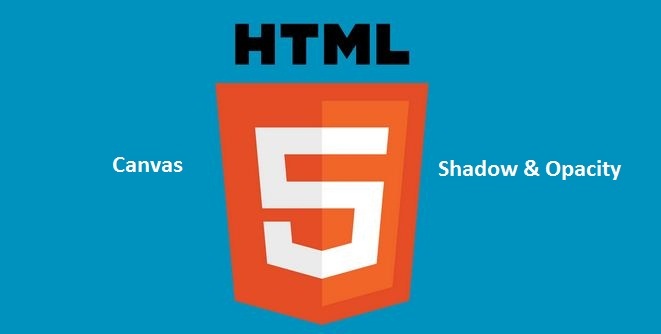 In Order to set opacity to elements in HTML5 Canvas, you can use globalAlpha property. The value can be a real number anywhere between ‘0’ and ‘1’; where ‘0’ is fully transparent and ‘1’ is fully opaque. For demonstration, lets create two overlapped circles; where one with opacity adjustment. That’s it! Checkout the demo and if you liked the post, please share it with HTML5 community.